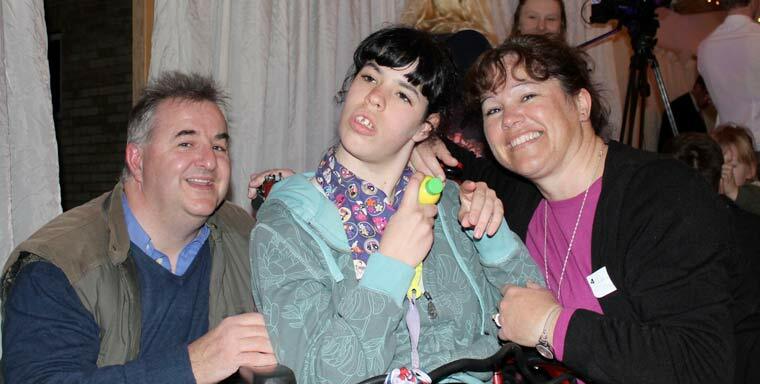 Diverse Abilities, Dorset’s disability charity, is delighted to announce that its brand-new children’s respite home is officially opened and has been named Lily’s Place. Over a year ago the charity, that supports children and adults with disabilities and their families, launched the Lilypad Appeal and thanks to many local supporters the respite home, formerly known as Smithers, has now been renovated and redeveloped to create a brand-new space. Lily’s Place can accommodate additional children with disabilities for respite during the day, at the weekend and in the school holidays and it has been redesigned to focus on the individual needs of every child supported. Brand new children’s bedrooms have been created in a dedicated overnight wing, all on the ground floor, with full hoist systems and are large enough to accommodate all the specialist equipment that many of the children require. There is also a state of the art sensory room, multi-sensory underwater themed bathroom, large playroom and fully accessible garden featuring a soft play cabin, musical handrail, sandpit and a sensory tunnel. A launch event took place recently and donors to the appeal, families, staff and supporters were invited to the grand opening where ceremonial keys were handed to the Children’s Team. Following the grand opening guests watched a film showing the transformation of the respite home before touring the new building to see how the renovation will benefit the children. Vikki Slade, capital appeals manager at Diverse Abilities, said, “We have been overjoyed with the significant backing we have received since the Lilypad Appeal started and in the past few months we continued to receive a huge amount of generosity from the public to raise our final £35,000. Many local organisations have made generous donations and spent their time volunteering over the past year, of which the charity is very grateful for. Andrea Lennox-Gordon, whose daughter Victoria visits the respite home, said, “It was lovely to see so many people at the Lily’s Place launch event. It has been a huge journey for everyone and we are astounded at the transformation – it is truly incredible what has been achieved. Now that the build is finished we realise how wonderful it is and can see that our children will have the most amazing place to have fun and just be themselves. Wendy Barfoot, daughter to Phyllis Edwards, the founder of Diverse Abilities, said, “I would like to say a big thank you to everyone involved in Lily’s Place. What an achievement! It is such a lovely place for families knowing that their loved ones can be cared for in such a safe environment.